Continued Mexican DGAC Airframe and Engine Maintenance Services for Gulfstream, Bombardier-Learjet, Hawker and Dassault Aircraft. May 2018 Dallas, Texas. Arlington based aviation maintenance organization, Aviation Maintenance Professionals (AmP) (www.avmxpros.com), announces the renewal of Mexico’s Dirección General de Aeronáutica Civil certifical (DGAC) through March 2021, including full maintenance and repair services for Mexican registered aircraft. Initially certified in March 2013, AmP will continue to provide full-suite airframe and engine maintenance and repair services to XA, XB, and XC Mexican registered aircraft including Gulfstream, Bombardier-Learjet, Hawker and Dassault. Thirty Year Aircraft Maintenance & Repair Professional to Oversee Day-to-Day Operations, Strategies, Policies and Company Long Range Goal Alignment. December 2018 Dallas, Texas. 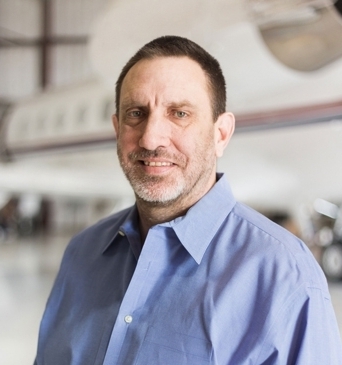 Arlington based aviation maintenance organization, Aviation Maintenance Professionals (AmP) (www.avmxpros.com), announces the appointment of Jim Balzer as COO. Effective immediately and, in tandem with the President and CEO, Mr. Balzer will oversee the company’s operations, policies and long-range goals. Mr. Balzer, the co-founder of AmP’s flagship organization, AATMX, brings over 30 years of corporate aircraft maintenance and repair expertise and leadership to the role. “We would like to thank everyone who stopped by our booth at NBAA and shared our Big News!! Join us for Drinks, Food and Conversation at our NBAA After-Burner! It's Happening and we want to share the good news! October 2018 Dallas, Texas. Arlington based aviation maintenance organization, Aviation Maintenance Professionals (AmP) (www.avmxpros.com), announces that Dennis Moore has joined AmP, serving as CEO and will support day to day operations and oversee long term growth and strategies of the Company. Moore has over 25 years of successful executive operations experience, including lean/six sigma leadership roles at successful and high-profile consumer and aviation manufacturing organizations including Rubbermaid, Petmate and AAT. Aviation Industry Sales Management Executive to Oversee AmP Aircraft Maintenance Client Acquisition, Retention and Expansion. September 2018 Dallas, Texas. Arlington based aviation maintenance organization, Aviation Maintenance Professionals (AmP) (www.avmxpros.com), announces that Pete Mendez has joined AmP, serving as Vice President of Sales. Mr. Mendez brings over 38 years of corporate aviation industry maintenance account development, management, sales, and customer service experience and success with recognized aviation organizations including Gulfstream, Dallas Jet International, Signature Aviation Services, and Galaxy Aerospace. In order to better serve our customers, we have rolled out a new platform. AATMX is now AMP, Aviation Maintenance Professionals. With this rollout, we have enhanced our commitment to Customer Service, Safety and overall excellence. New AmP brand and expanded platform continues company’s commitment to corporate aircraft service safety and customer centric support. September 2018 Dallas, Texas. Arlington based aviation maintenance organization, AATMX has researched and prepared a complete brand assessment and this month unveiled its new logo, industry market position, social presence and website. The new company, Aviation Maintenance Professionals (AmP), represents the company’s service platform expansion, commitment to customer service, safety and overall excellence as leading aviation maintenance organization. The updated AmP identity illustrates the expertise and customer centric approach to serve aircraft owners and operators who value a high level of professionalism, communication and business integrity. The new website (www.avmxpros.com) is designed to increase AmP online footprint, present the company’s comprehensive corporate aircraft maintenance services and communicate with current and prospective clients. AmP’s current roster of full suite Aircraft Maintenance services includes airframe maintenance, avionics repair, interior refurbishment, paint services, engine - APU services, pre-purchase evaluations and DOM-maintenance tracking. AmP provides major inspection and repairs for Gulfstream, Challenger, Hawker, Falcon, King Air, and Learjet aircraft. “The AmP brand represents our established values and equally signifies our continued commitment and longevity to our customers and the aviation industry”, states Allen.